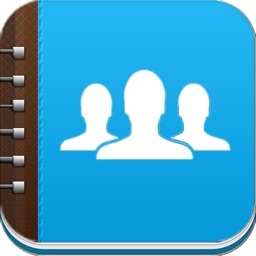 This app lets you to access and manage your iOS Device Contacts (iPhone/iPad/iPod touch) by using a computer. - Simply connect your iPhone/iPad to the same network of your computer. - Open a web browser and type the address shown in the app. 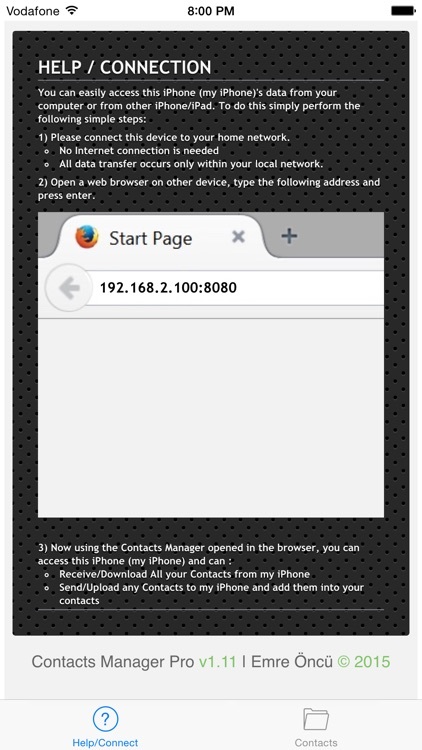 This opens an contacts manager in the browser. 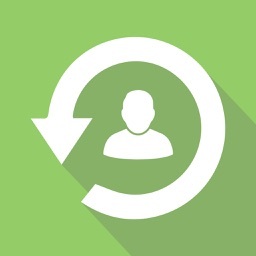 There is no risk of overwrite or loss of existing contacts. This app checks existence of similar contacts during upload and avoids loss of any contact data. Within the app, you can preview the existing contacts and send them to other apps, i.e. 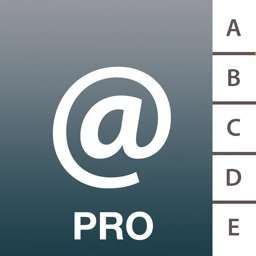 email app. NOTE: To use this App you do NOT need an internet connection. All of the data transfer occurs in your "local" network, therefore it is very safe. Usage Example 1 : You want to back up all your Contacts. Simply click "Download all Contacts" in the contacts manager in any browser . 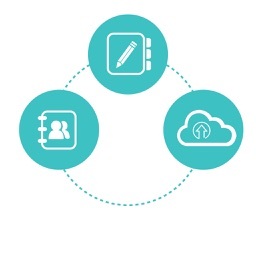 All of your contacts will be ready for you to download to your computer as a single file. Usage Example 2 : Assume that, you need to send the device to repair or you will replace your phone with a newer version. Using contacts manager in any browser, simply download all content to your computer. 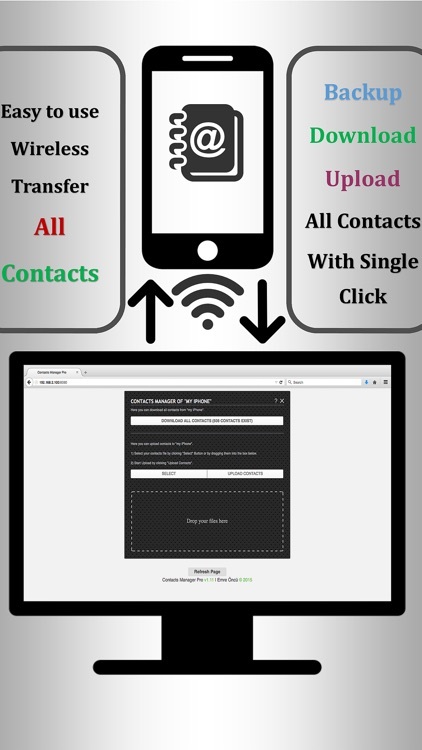 Later install our app to new device and using the contacts manager simply put them back using upload feature. 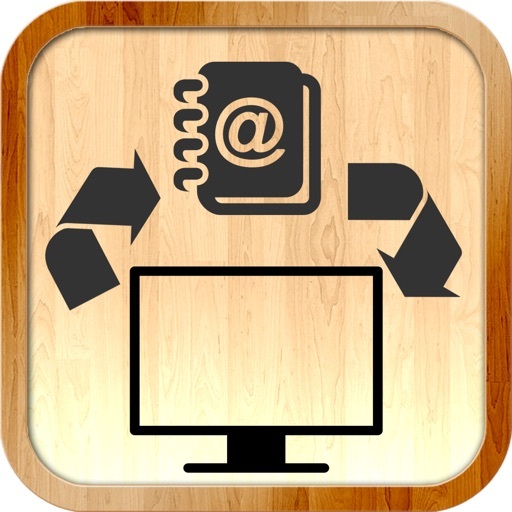 Usage Example 3 : You have received via email a vcard of a contact at your computer and want to copy this contact to your iPhone/iPad. 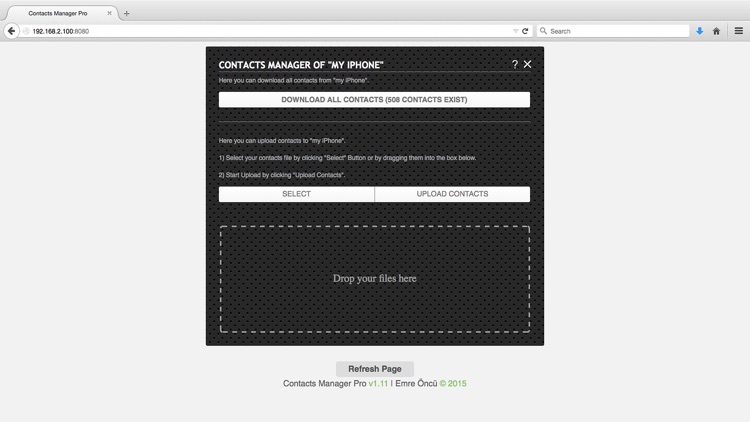 Simply upload the file to the app using the contacts manager in any browser. The contact is added directly in your contacts in iPhone/iPad. 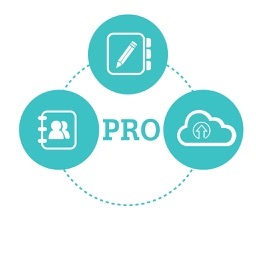 We believe that Contact Manager Pro will help you a lot and we are eager to improve it. Therefore we are open and pleased to any suggestions and critics. Please e-mail your ideas to us and we will implement them in coming releases.